I recently played a match where my opponent expertly put two copies of this monster into play in the opening turns. I will tell you it's a big game changer when that happens. No matter how fast or powerful you think your deck may be, you're on the clock from that moment on and every turn is going to cost you dearly. After seeing the Underworld Dreams post over on Brothers of Fire yesterday, I decided to put the two together and share my experience with this unforgiving mistress. As I mentioned, my opponent got two copies of this dreaded enchantment into play almost immediately. Not having a Disenchant in my hand or any countermeasure when he cast them crushed me. I hadn't overextended, I just didn't have anything to stop him. He opened the game perfectly. And that's when the clock started for me. Taking two points of damage every turn means you're not gonna last long. I was praying for a Disenchant. Anything to get me a Disenchant. Anything that vaguely resembled a Disenchant from a distance. My opponent however was clearly not as stressed as I was. All he had to do was watch me unravel at what was for me, a frightening pace. I had everything in my hand I needed to counter anything else coming into play... it was just the double dreams that were stealing my sanity every time I drew a card. The only thing that saved me from an almost immediate death was playing a Mind Twist at a key moment to empty his hand. 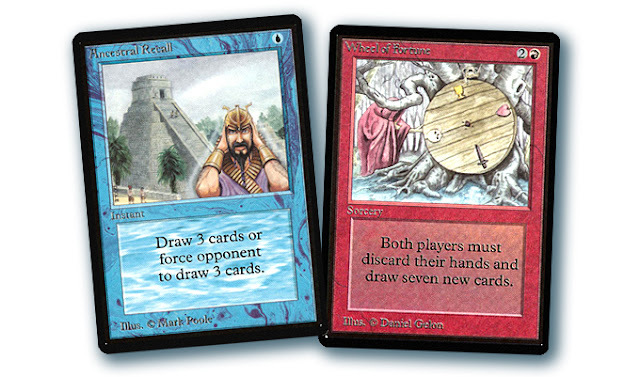 In it he held my death... a Wheel of Fortune and Ancestral Recall. Enough to kill me on his next turn. That ultimately bought me enough time to mount an offense and fight back. It was only through a lone uncontested creature paired with relentless direct damage that I was able to pull out the win with only two life remaining. I never did find an answer to either of those Underworld Dreams in play. Which brings me to the article I read over on Brothers of Fire. It details some of the finer points about Underworld Dreams. 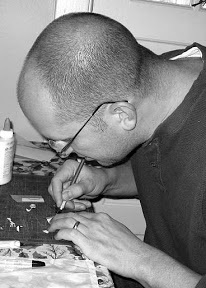 Five things about the card that make it what it is. I won't spoil it here; head over to Brothers of Fire for the full story. The biggest takeaway for me was highlighting this card as a threat that does not need to be maintained. It has no additional costs, no activation costs, no upkeep or anything like that. You simply cast it and forget it and will consistently punish your opponent every single turn after that. There are very few threats that work like that. Swing over and give it a read. I only splash black in my deck for the obvious choices. I can tell you that if I thought I could pull it off, I'd fit this card into my deck in a heartbeat. Until then, I am forced to play deep in the outfield when this horror comes up to bat. My only real hope being that I can stop it before it even comes into play. 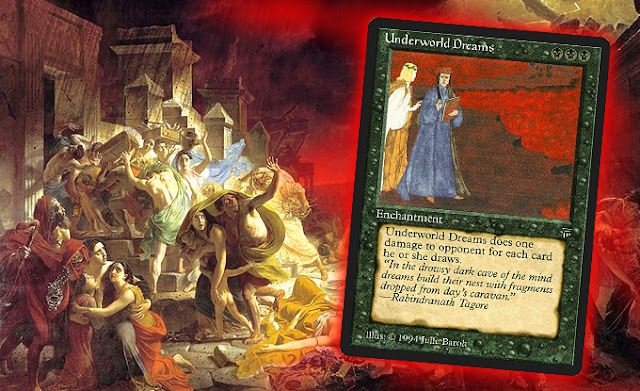 IMAGE: WotC Card (Underworld Dreams). Painting by Karl Brulloff. Photo Illustration by me.